Hyundai showcased a sub-compact SUV concept called Carlino at the 2016 Delhi Auto Expo. It had us asking about the car and its release date. Well, now we have some news for you regarding the same. The Hyundai Carlino will be made available in the second half of 2019 with a new name probably. The car had recently been caught testing in India. Although it is heavily camouflaged as seen in the spy shots, we can still make out some of its details. The new Hyundai Carlino’s design seems to be inspired by its big brother – the best-selling Creta. It’s a far cry from the actual concept which showcased a boxy design language. 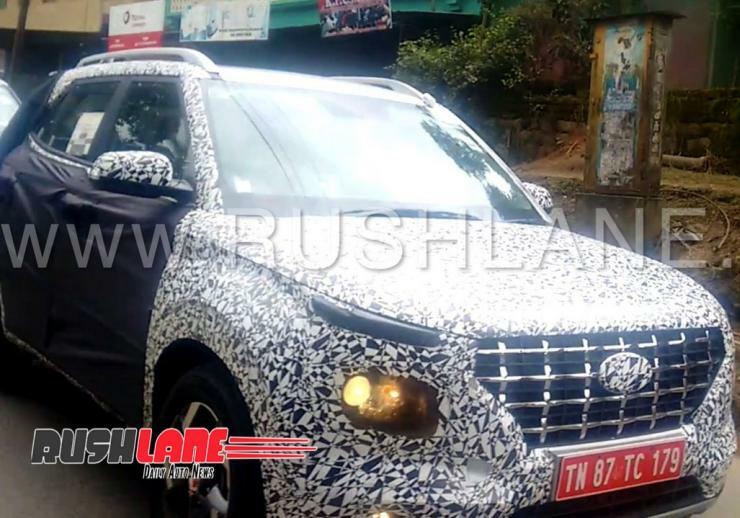 The side profile and front hexagonal grille of the car are similar to that of Hyundai Creta, but no final word could be put out now. The front-end also gets LED DRLs, projector headlamps and foglamps along with a silver skid plate. The rear is neatly concealed and we can’t say much about it, but expect traditional Hyundai design language all over. The Carlino SUV is reported to use a 1.0 litre turbo charged petrol engine with about 110 Bhp on tap. It will also get a 1.4-litre U2 CRDi diesel powertrain. The 1.4 diesel oil burner pumps out a max. power of 88.7 bhp and a peak torque of 220 Nm. There will be a 6 speed manual gearbox and a 4 speed automatic gearbox as an option. The new compact SUV from the Hyundai stable is based on the i20 platform. Expect the car to have typical Hyundai-styled interiors and instrument cluster. It may even share some interior bits with the i20 as it is based on the same platform. 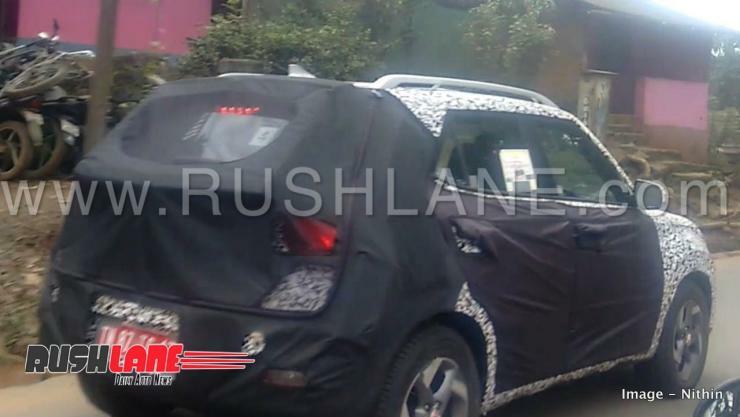 In the spy shots, the car looks production ready, so expect the launching to be done in the later half of next year. As this is the first time the car has been seen testing in India, the automaker is expected to continue testing the car to make it more Indian market friendly. Pricing will be kept in the range of Rs. 6.5 lakh to 10 lakh to make it competitive with its rivals. The subcompact SUV segment has some good vehicles like the Tata Nexon and Maruti Vitara Brezza and it remains to be seen how the Carolina fares against the competition.